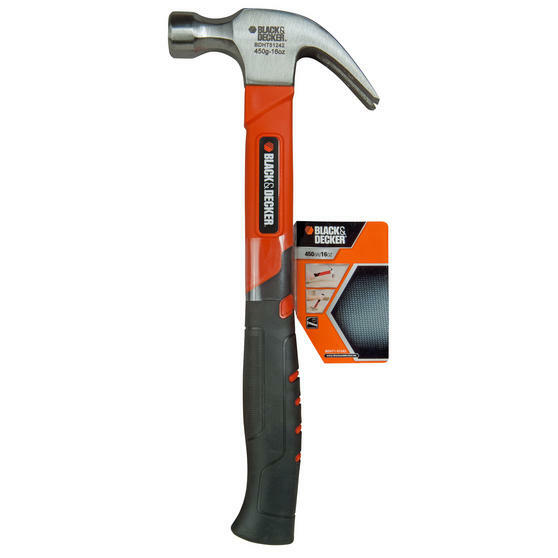 This lightweight, expertly crafted claw hammer from Black + Decker is made from high-quality, one-piece forged steel for maximum impact and resilience. Its innovative fibreglass handle features torsion control technology to mitigate the effects of torque on joints during use, while an effective shock absorption system and precision balance engineering deliver unrivalled comfort for your hands and arms. Highly robust and built to last, this tool promises years of loyal, trouble-free performance. Weighing just 450 g, this Black + Decker claw hammer is fabricated from forged one-piece steel for optimum strength and durability. The hammer features a carefully precision-balanced design that increases comfort for users while improving the accuracy of impact. 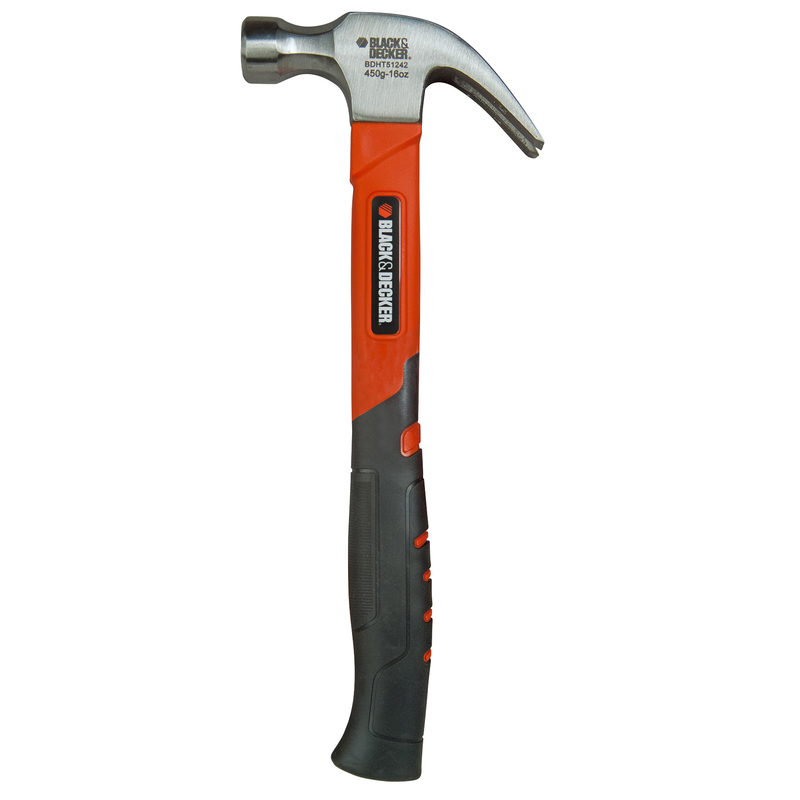 Its unique soft grip handle uses a patented torsion control grip system to relieve the stress of torque on your elbows and wrists. The integrated shock absorption technology greatly reduces the risk of hand injury from prolonged exposure to impact vibrations. 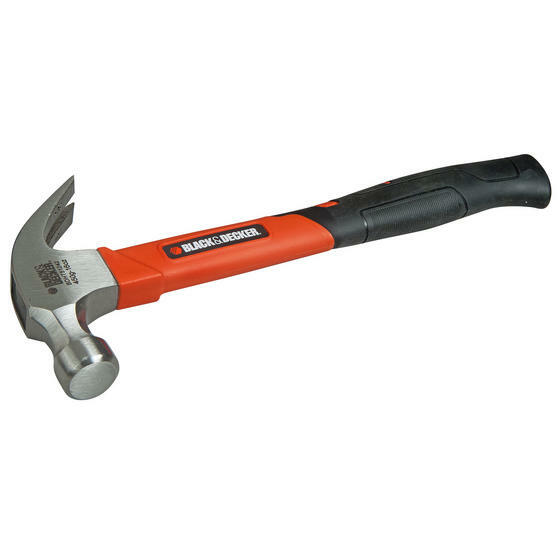 Specially built for intensive applications, this versatile tool is ideal for both professional tradesmen and DIY enthusiasts alike.